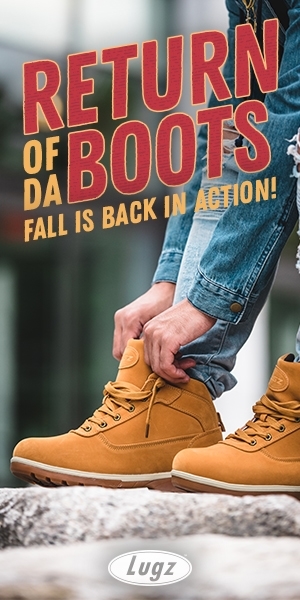 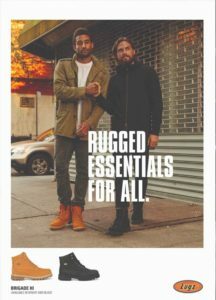 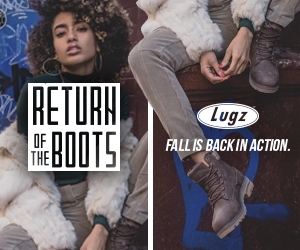 Always an innovator and leader in footwear, Lugz first made a name for itself in October of 1993, bringing its first line of boots to market, with the initial product consisting of two styles of boots, a quilted vest and a pair of jeans. 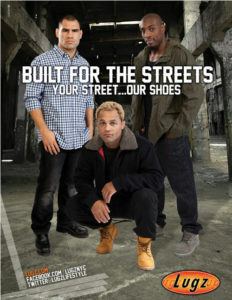 Soon Lugz was endorsed by key players from the world of hip hop and has continued to do so through out the years. 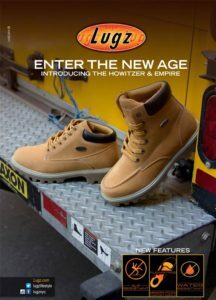 One such collaboration led Lugz to breathe life to a whole new category of footwear with the introduction of the first ever celebrity-endorsed “Funk Master Flex” urban driving shoe. 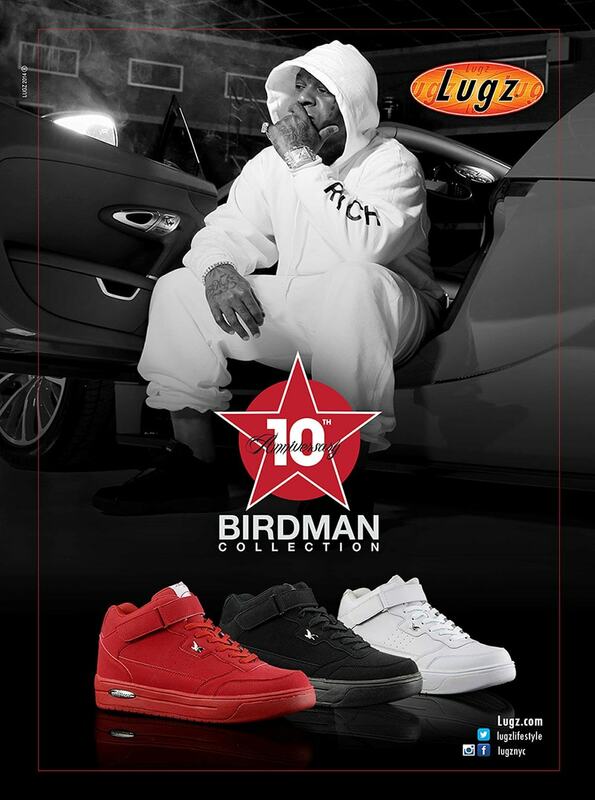 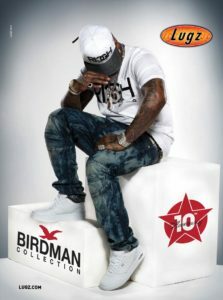 This was only the beginning as support then lead to a collaborative line with hip-hop superstar Bryan “Baby” Williams, aka “Birdman” with his own series of sneakers and boots. 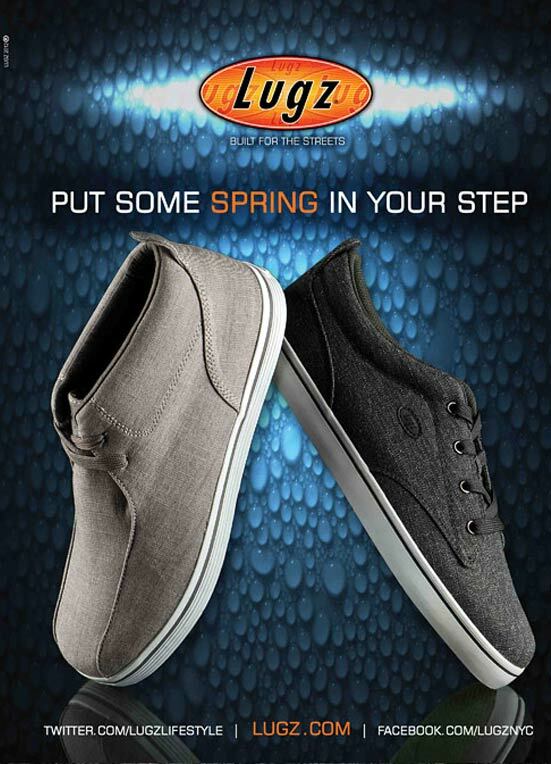 Lugz wants to put a little Spring into your step. 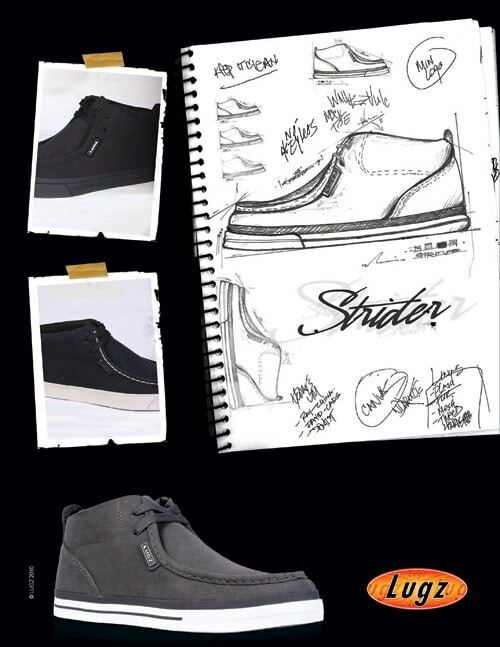 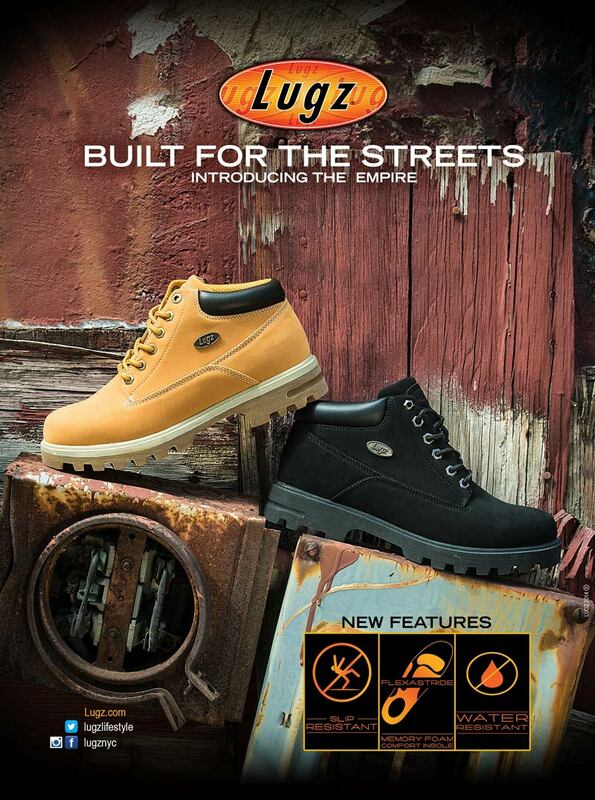 Take a step into Canvas – in the Lugz Trooper or Roller Lo. 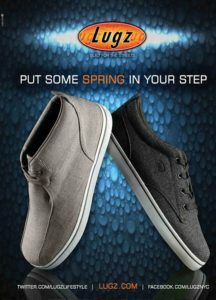 Want to keep your feet feeling great all day as well as looking good? 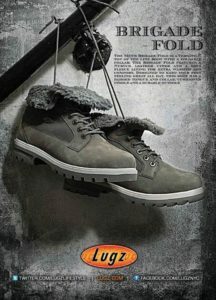 Then check out this versatile top of the line boot – the Brigade Fold. 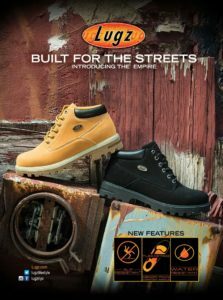 Lugz is built for the streets – and Team Lugz wants you to know it! 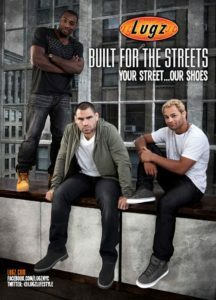 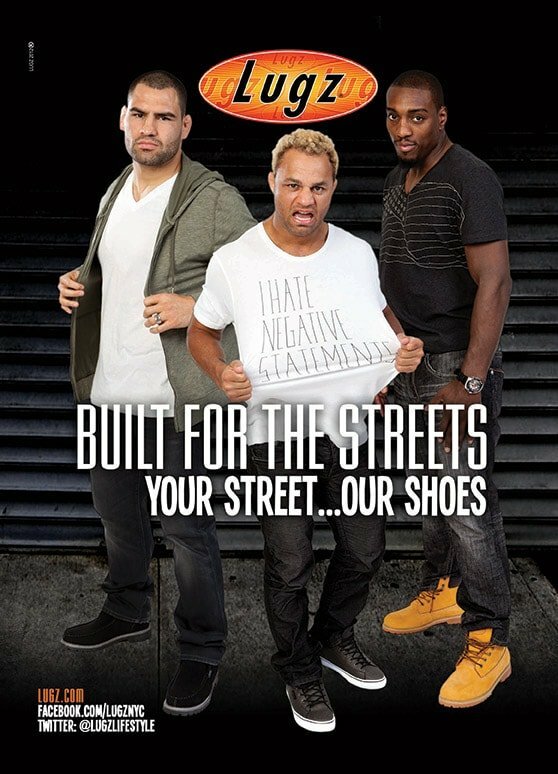 Cain Velasquez walks his street in the Swagger SR; Josh Koscheck in the Allertons; and Phil Davis in the Drifter 6″ boot. 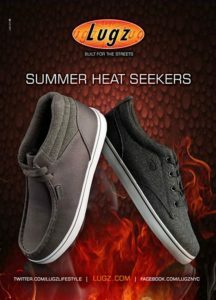 The summer heat is on! Cool off in Canvas with the Lugz Ease or the Roller Lo. 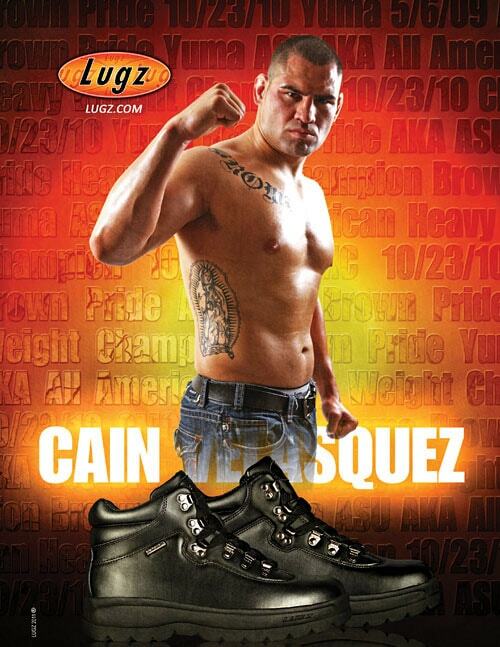 Take Phil Davis’ Lugz Striders and he may take you in the cage. 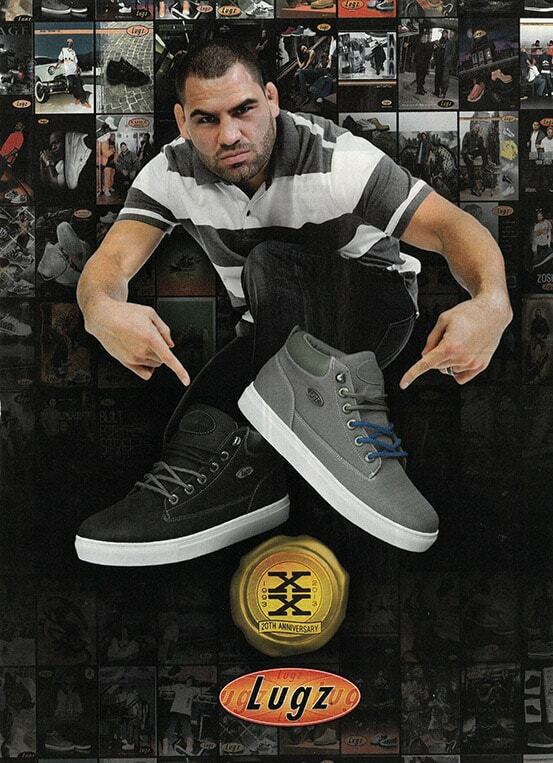 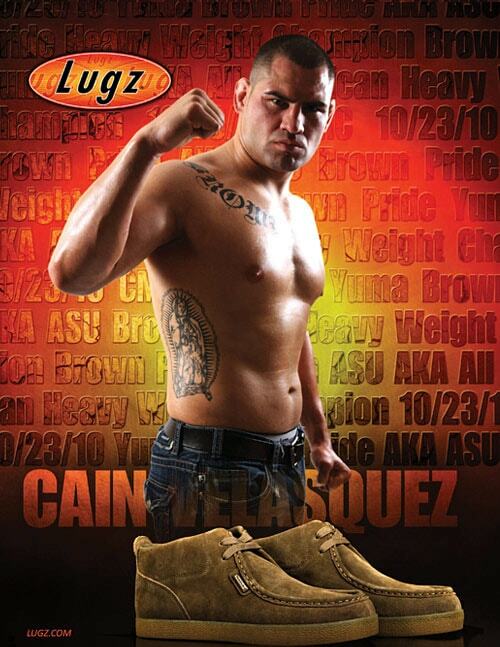 Cain Velasquez and the Lugz Suede Strider. Lugz Broadway SR – Boots tough enough for Cain Velasquez.